Saraband Music's Festive Collection has is available, with more editions to come. For 4 instruments: TrTrTB viols, string quartet or your choice of instruments. Score & parts, with both alto clef and octave treble parts for the 3rd line. 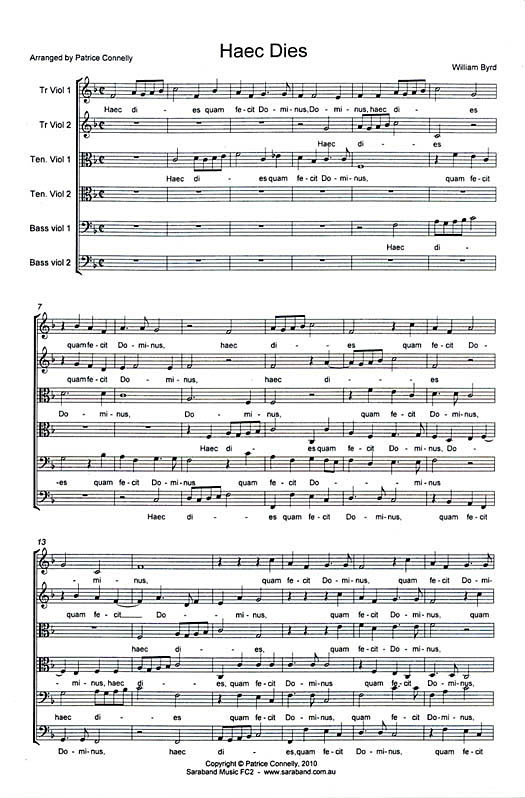 Easter motet for 6 instruments: TrTrTTBB or TrTrTBBB viols, or any instruments that suit. Text included, so can be done with voices and viols or similar. 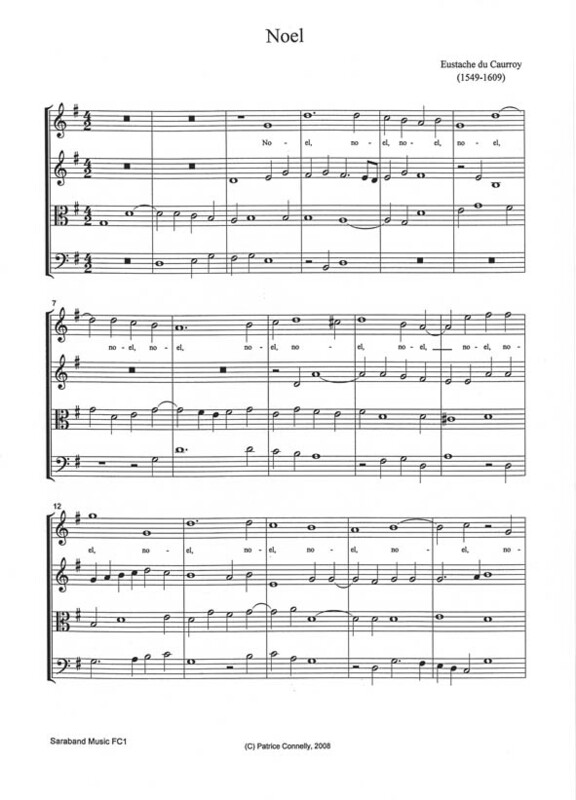 Score & parts, with both alto clef and octave treble parts for the 3rd and 4th lines.